As Goa Chief Minister Manohar Parrikar’s health condition worsens, hectic political activity has taken centre stage in the BJP-ruled coastal state. A day after the Congress staked claim to form the government in the state, the BJP’s ally, Goa Forward Party (GPF), is trying to mount pressure, saying it will rethink about its support in case of “any eventuality”. “Parrikar’s health is a cause of political concern. The BJP is also discussing possibilities, so we, a group of MLAs from our party and independents, met him. We supported Manohar Parrikar, and not the party. So in case of any eventuality, we will rethink (our support to the BJP),” Goa Forward Party chief Vijai Sardesai said. He asserted that everything would be on the table to discuss and “there will be a rethink”. “Let them come with a proposal and we will think,” he added. Considering Parrikar’s health, the BJP, too, has reportedly started finding a new face for the CM’s post. The central BJP leadership will send emissaries to Goa on Sunday to seek suggestions on the new CM candidate. Goa BJP’s core committee members had met on Saturday to discuss the overall political situation arising out of the deteriorating health of the former defence minister, who is suffering from a pancreatic ailment. The BJP state leadership, led by Goa chief and Rajya Sabha MP Vinay Tendulkar, reportedly discussed the political situation after the GFP’s indirect remarks on the alliance. They also discussed the party’s preparations for the Lok Sabha elections 2019. “The BJP is aware that the Chief Minister’s condition is not well. Some of our party leaders had met him during the day. Concerns about his health were raised,” PTI quoted Assembly Speaker Pramod Sawant as saying. 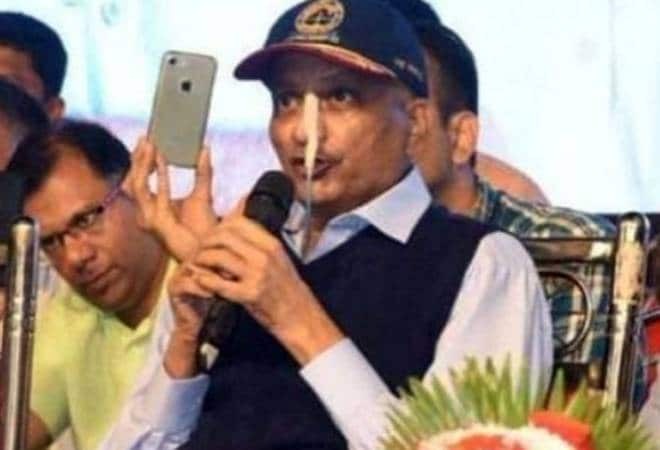 Despite his poor health condition, Parrikar’s has been performing all his official duties as the CM. Goa Power Minister Nilesh Cabral said he was “strong so there’s no reason to discuss leadership change”, added the news agency. The Congress on Saturday staked claim to form the government in Goa claiming that the Manohar Parrikar dispensation has lost its majority in the Assembly following the demise of BJP MLA Francis D’Souza. The strength of Goa Assembly has reduced from 40 to 37 after the death of D’Souza and resignation of two MLAs — Subhash Shirodkar and Dayanand Sopte. While the Congress currently has 14 MLAs, down from 16 after Sopte and Shirodkar left it to join the BJP, the latter has 13 MLAs. Three MLAs each of the Goa Forward Party, MGP and an Independent and the lone NCP legislator are supporting the BJP.